The Adventures of Puss in Boots – Season 4 (2016) – What's New on Netflix Canada Today! Season 4 has our fuzzy, fearless feline swaggering and swashbuckling through more fun-filled adventures as he seeks to defeat the dreaded Bloodwolf. 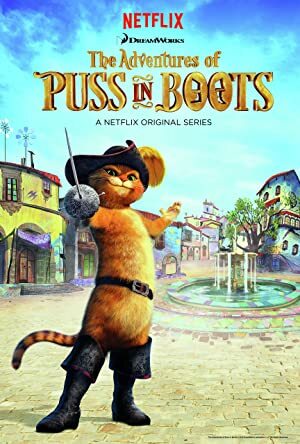 A spectacular C”G action-comedy, THE ADVENTURES OF PUSS IN BOOTS stars one of DreamWorks Animation’s most celebrated characters. The world’s greatest fighter, lover (and milk connoisseur) springs to action with mystical, comical tales that take him to exotic locations filled with unforgettable characters.